Emma Louise’s Pontoon tour brings her to the Astor Theatre this Friday, October 4, with support from Sean Pollard of Split Seconds. BOB GORDON reports. After a year that saw her not only playing all around Australia, but throughout Europe and the US, Emma Louise finds herself actually having a rare moment at home. “I am,” she says good-naturedly. “I have one week off, so I’m in demo land, which is a fun place to be. Always good to hear when someone loves their job. While there’s a certain focus when demoing, the singer/songwriter is comfortable changing up processes and changing down gears when it comes to creative pursuits. 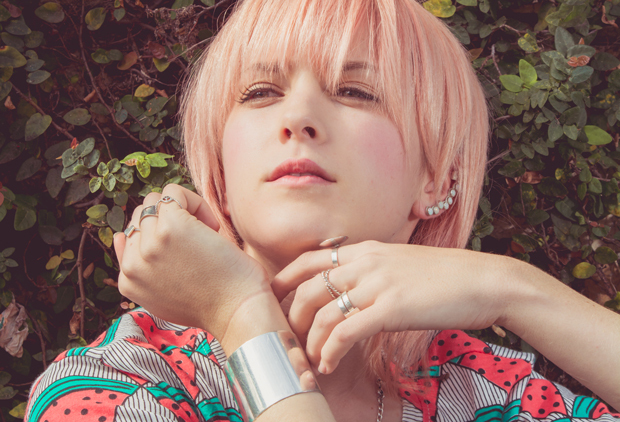 Emma Louise’s debut album, Vs Head Vs Heart, was released back in March. Expectation and a little doubt pre-empted the release, but it has since taken off on its own flight. “It’s all been a bit… I’ve just kind of sailed along with it,” she ponders. “I don’t know why, I can’t really gauge the album as it is now. It’s kind of not mine anymore in a way, because I’m working so much now on the next album and working out what else I want to do. That song was Freedom, which in its own way opened the door for the rest of the album. It’s not unusual. You often hear that hits or breakthrough songs are the ones that were almost left off an album. It seems the songs that connect are frequently the ones that songwriters are least connected to. Is she perhaps too hard on herself? Emma Louise is well into the writing of her second album, which she hopes to start after the coming tour. In the meantime 2013 ends as it has continued, following her songs as they take her all around the place, to perform to all sorts of people.